The Presidential and National Assembly elections have come and gone, but some of the stories associated with the exercise remains evergreen. 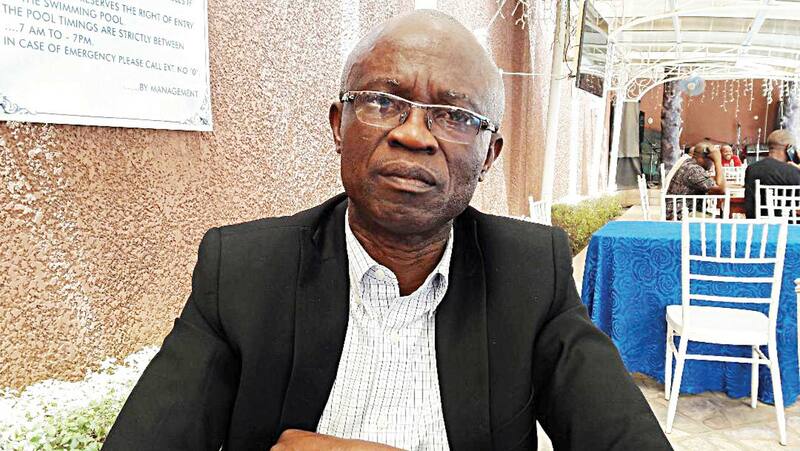 The Imo State Resident Electoral Commissioner, REC, Professor Francis Ezeonu, in this post mortem examination, bares his mind on some of the lapses experienced during the last polls, as well as the modalities put in place to check a re-occurrence. Excerpts…. ** Sir, how can you explain the absence of voting materials in Owerri Municipality during the last elections? * It was inexplicable. I got several reports about the absence of voting materials in Owerri Municipal and I moved out immediately to find out why. On getting to the Electoral Officer’s office, I saw him sitting leisurely and I ordered his arrest. The arrest order was not for his doing anything extraordinary, but for dereliction of duty. Elections were not going on. There were issues, even at the RAC centres, but he was sitting complacently in his office. So, I took him to some places and he could not account for what was happening and I considered it a sabotage. I said he should be arrested and made to give explanations later and that was how I took over the operations in Owerri Municipal and this occupied me for the rest of the day, because as at the time this was happening, a lot of things had been muddled up, including the distribution of result sheets. ** Do you sense an element of sabotage in the whole thing? * I agree totally with you about the issue of sabotage in a few places, in collusion with our staff. We are investigating those cases. But largely, the problem came from adhoc staff. After issuing the adhoc Supervising Presiding Officers their letters on Friday, we were in our Situation Room, tracking their movement, tracking what was happening in our local government offices, and after a while, about 90 percent of them switched off their phones and we couldn’t reach them again! When they realized that we were tracking them, they switched off their phones. We were awake the whole of Friday night, moving from one RAC centre to the other. In a particular instance, at about 12 midnight, seven people jumped down from a vehicle and I sought to know who they were. They said they were SPOs and brought out their letters of appointment. Asked why they were arriving at that unholy hour, they said they were held up in the traffic. When asked where they live, their answers did not fully explain why they should arrive in the same vehicle. It was evident that they were dropped by a politician. Some others sold their letters of appointment to politicians! The politicians in turn, took the letters to their cronies. In some places, the SPOs did not appear till the morning of the polls. And materials had been packaged for them to go and distribute. There was confusion. In some places, they even disappeared! For the collation officers also, an appreciable number of them were also in the same boat. One of them returned his appointment letter. When he didn’t see me, he sent me a text, stating that immediately we gave them their letters, all the people who were going to the local government got into a particular bus and started heading to Concorde Hotel, Owerri. He asked what they were going to do there and he was told that a politician was waiting for them in the hotel. He simply asked to be dropped and the rest continued to Concorde Hotel. We hired buses to take them to the areas where they would work but they said they had their private vehicles and they could go when they wanted. In Okigwe, there was the case of somebody, who was caught with fresh N500,000 cash, but at the end of the day, INEC is blamed for all these things. This time, I won’t say we will do, so that it doesn’t leak. There is no doubt that there was serious sabotage! ** Did this have any link with politicians? * This question is dicey but the greatest problem we have is the desperation of our brithers who are politicians. We keep on receiving intelligence reports of what will happen on Saturday (today). That the heavens will collapse.